WASHINGTON — Just about a week after being reintroduced in the Senate, the pharmacy provider status bill is now once again before the House of Representatives. Reps. Brett Guthrie (R., Ky.), G.K. Butterfield (D., N.C.), Ron Kind (D., Wis.) and Tom Reed (R., N.Y.) on Friday introduced the Pharmacy and Medically Underserved Areas Enhancement Act (H.R. 592) in the House. A companion bill, the legislation was introduced earlier this month in the Senate as S. 109, with its 27 original co-sponsors. The bill would recognize pharmacists as health providers and allow state-licensed pharmacists in medically underserved communities to provide and be reimbursed for an expanded scope of patient care services under Medicare Part B. The Pharmacy and Medically Underserved Areas Enhancement Act would enable Medicare beneficiaries to receive basic care such as vaccinations, diabetes management, blood pressure screenings and routine health checks from pharmacists. Lawmakers noted that there’s currently no avenue for Medicare to directly reimburse pharmacists for providing such services, which has hampered access to care by forcing seniors in medically underserved areas to travel long distances to see a doctor. Known as H.R. 592/S. 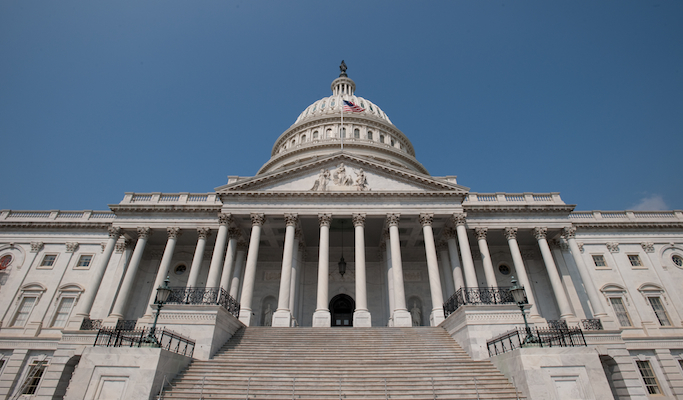 314 in the 114th Congress, the Pharmacy and Medically Underserved Areas Enhancement Act has garnered substantial support, the National Association of Chain Drug Stores reported. In the last Congress, the bill was co-sponsored by about half the Senate and two-thirds of the House. B. Douglas Hoey, CEO of the National Community Pharmacists Association, noted that the legislation augurs an expanded role for pharmacists, who bring to the table a high level of health care credentials beyond dispensing prescriptions. Kind pointed out that the Pharmacy and Medically Underserved Areas Enhancement Act also promises more affordable health care. “Almost every Wisconsin community has a pharmacist, and allowing pharmacists to provide patient care services as consistent with their education, training and license will increase access while lowering costs,” he commented. Sponsors of the Senate bill include Chuck Grassley (R., Iowa), Bob Casey (D., Pa.), Susan Collins (R., Maine) and Sherrod Brown (D., Ohio).